This article describes the process in which you can access your Microsoft Exchange's version number via a PowerShell Command. This is useful to know to help ensure your server is up to date with the latest patches and service packs. Once you have your version number, you can find further information about it using the Microsoft Knowledge Base article on Build Number and Release Dates for Exchange Server. In the final column of the General tab, you should see a Version column containing the Server Version No. 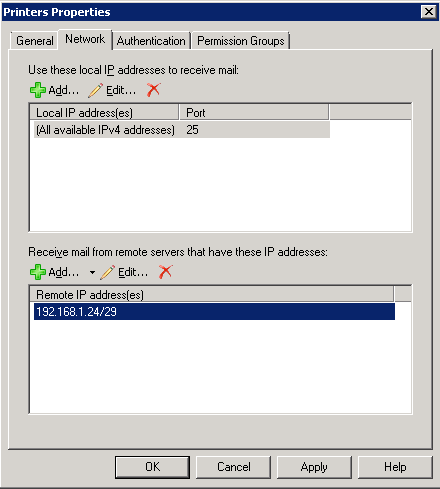 This article describes the SMTP configuration process of a Samsung CLX-6260FR (and similar printers) via the SyncThru HTTP management interface to enable the printer to send email anonymously through a Microsoft Exchange Server. Select Outgoing Mail Server (SMTP) on the left menu. Then hit the Save button at the top of the screen to save your settings. Hit the Test button under SMTP Configuration Test to check your settings are working correctly. Don't worry if this fails this first time (the test failed for me when sending anonymously!) 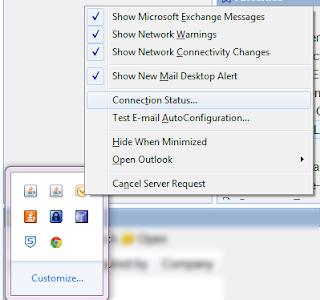 as you may have to configure the associated Exchange Server's Receive Connector (you did set one up right?) 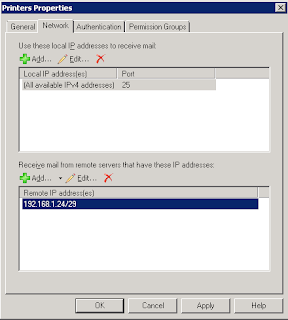 to bypass Exchange's AntiSpam Hub Transport Configuration OR alternatively, you could specify an Exchange account's log in credentials under the SMTP Login Information section by ticking SMTP Requires Authentication box and entering your Login ID (DOMAIN\UserName) and Password and then hitting Save and Test again.